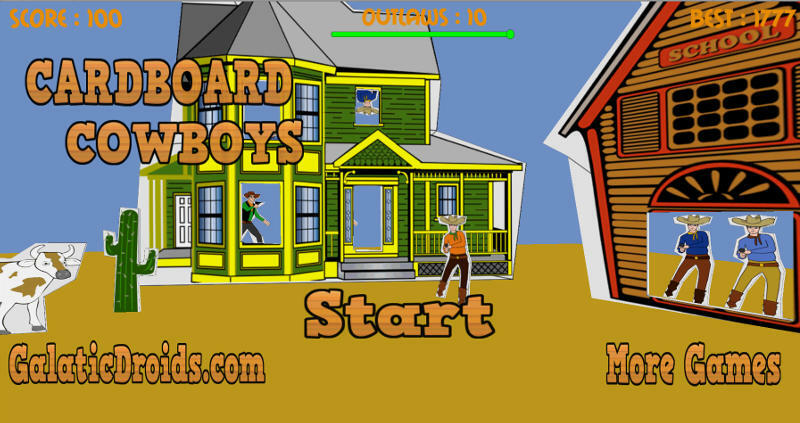 Shoot the 3D cardboard cowboys and watch them fall with realistic cardboard action. Try not to shoot the horses, or the gals but most everything else is just good clean fun. You have limited time but no limit on bullets, so practice that quick draw action and shoot everything that moves. Tilt your device to move around and click anywhere on the screen to fire. We are sure you will love our Cardboard Cowboys, download it now and head into the shooting range for some pop up cardboard action.